HABIT: Composite orange or yellow daisy like flowers. Cool-season annual flower and herb. Set out transplants in the fall or early spring in the northern part of the state. Sow seed in mid to late summer in flats. CULTURE: Plant in healthy, well drained soils. 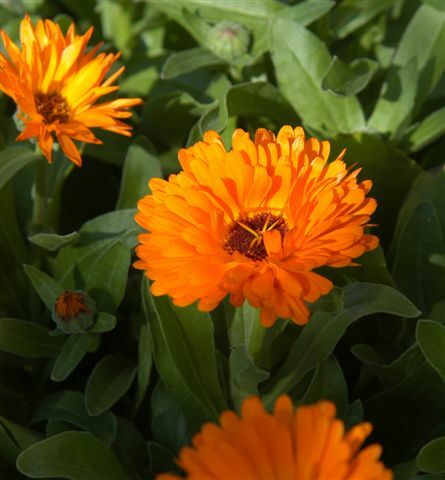 USES: Annual flower color for the cooler months, good in pots. Used as a pot herb. PROBLEMS: Can’t stand hot weather.